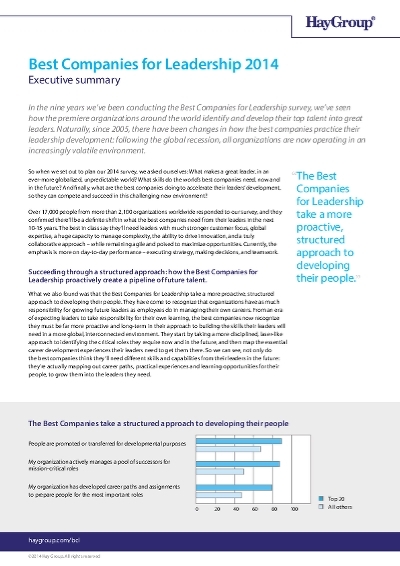 HayGroup conducted a study to learn more about companies with the best leadership practices. The purpose of this study is to know how are companies doing to accelerate the development of their leaders. The top 20 best companies for leadership differentiate themselves from the rest. “Best Companies for Leadership” is a useful ranking to gauge and compare the leadership structure and status of individual companies. As the ranking is the 9th time in row, comparisons and developments over time are possible. 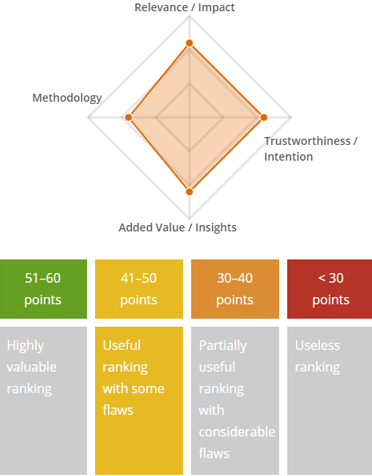 However, the ranking results only provide general information. For real insights on their individual situation, companies need to purchase Hay Group’s benchmark reports.